Miles Morales gears up and swings into action, firing webs as a super-powered web-slinger! With the Miles Morales Super Web Slinger inspired by Spider-Man: Into the Spider-Verse, kids are ready to blast into action like the web-slinging hero, Miles Morales! 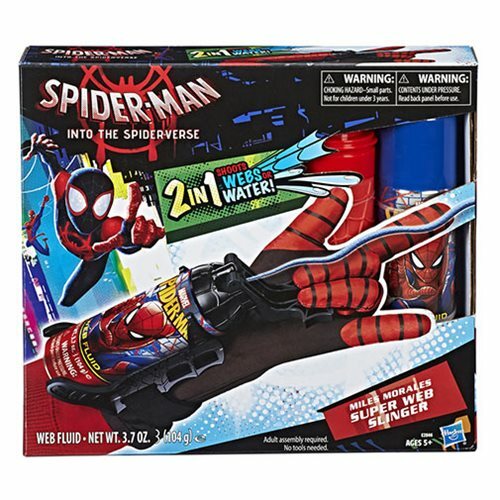 Load the included can of web fluid and get ready for cool web-blasting action, or fill the included cartridge with water to soak the bad guys! 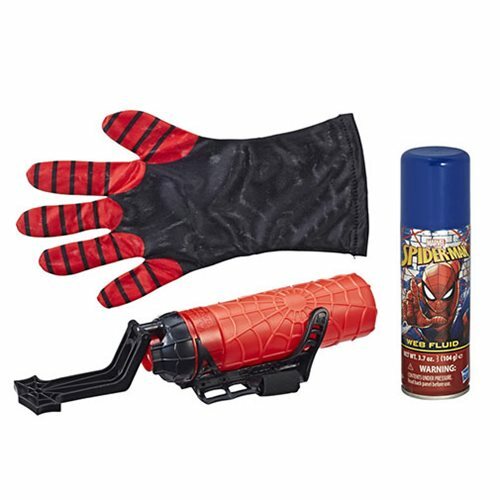 Includes Miles Morales Super Web Slinger, Web Fluid, refillable water cartridge, and glove.